Clear visibility is key to safe driving. If your wiper blades aren’t in good condition, you’re putting yourself and others at risk. Not sure when to replace your wiper blades? These 3 questions will answer if it’s time. Q #1: How often should I change my wiper blades? Windshield wipers should be replaced at least every six months. Fundamental driving safety relies on the driver’s ability to see the road clearly. When vision is impaired, it is difficult to see impending hazards in time to react. Wipers that do not work are dangerous. Q #2: What are some performance problems that may occur, indicating that my blades need to be replaced? 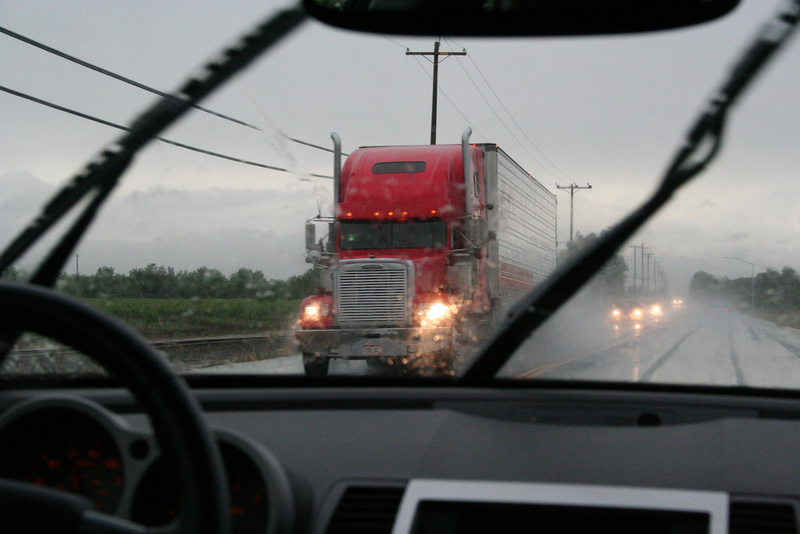 Smearing or streaking: Sections of windshield are missed as the blade passes over it. Chattering: Blade moves irregularly across the windshield surface, making a chattering noise as it “hobbles” across the glass. Hazing: Oil-like film spreads across the windshield, causing glare, usually a result of road grime contamination to the rubber. Beading: Appears as a collection of water droplets on the windshield after the blade passes over. Windlift: Blade “lifts” off the windshield and loses full or partial contact with the glass, usually happening at highway speeds. Q #3: What indicators would suggest that a blade is either worn, defective or of poor quality? Cracked rubber: Look for splits and slashes on the rubber. Contaminated rubber: Result of road grime and chemicals adhering to the rubber element, causing a hazy film on the windshield. Torn rubber: Rubber element has pulled away from its supporting structure, causing “slapping” noise to occur. Park set rubber: The rubber element has lost its flexibility and no longer “flips” over when it begins the downstroke. Abraded rubber: Worn, ragged edges on the element. Damaged superstructure: Metal or plastic elements of the wiper arm, blade or refill is either bent or cracked. These questions and answers were provided by Federal Mogul. Good information regarding when to change your wiper blades. It is incredibly important to regularly check how well your blades are performing so that you are able to know when it is time to change them. If your wiper blades are not functioning properly then major accidents could be caused as a result of lack of visibility on the road.